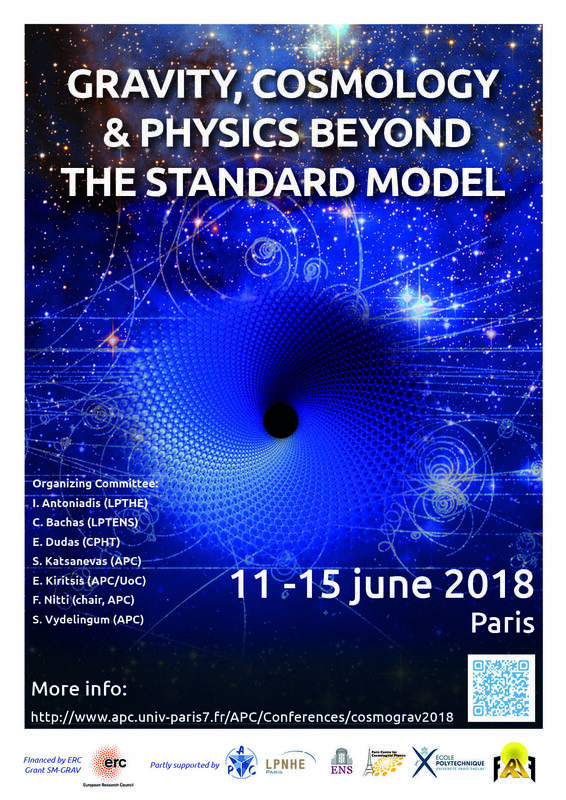 The meeting will focus on recent ideas that address fundamental problems of physics that are associated with gravity and its coupling to matter, as well as the physics that lies beyond the standard model. Emphasis will be given to ideas related to how problems of Cosmology today (Dark matter, dark energy, inflation) and of particle physics (hierarchy problem, axions, etc) are linked to the subtleties of interaction between gravity and matter, and how modifications of gravity and beyond the standard model physics can address these problems. The style of the meeting will priviledge interactions among experts and transfer of knowledge from experts to junior scientists. A poster session is envisaged.